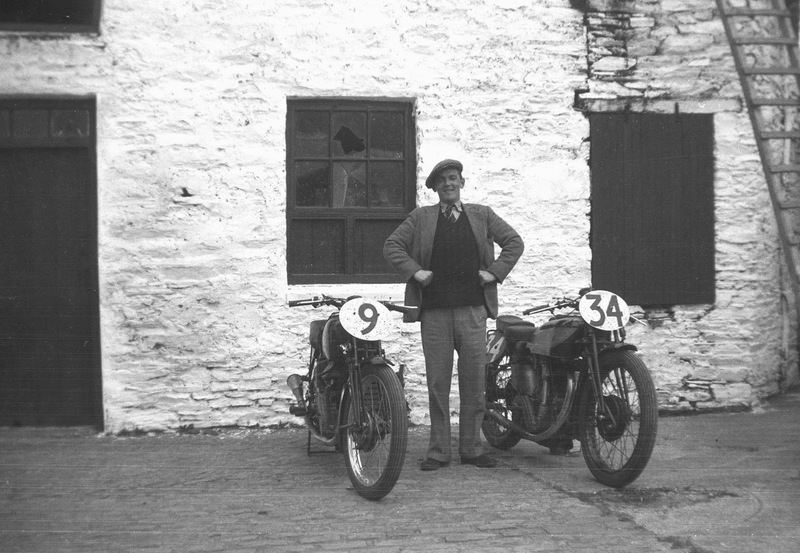 -JdK- Five brilliant pics contributed by Keith in the UK who has the original negatives of these photo's taken by Chas Mortimer senior himself. What we know is in the captions, most of which comes from Richard. Taken at the same time as this photo. and new oil tanks with extended filler necks. one loaned out to a promising non-works rider. 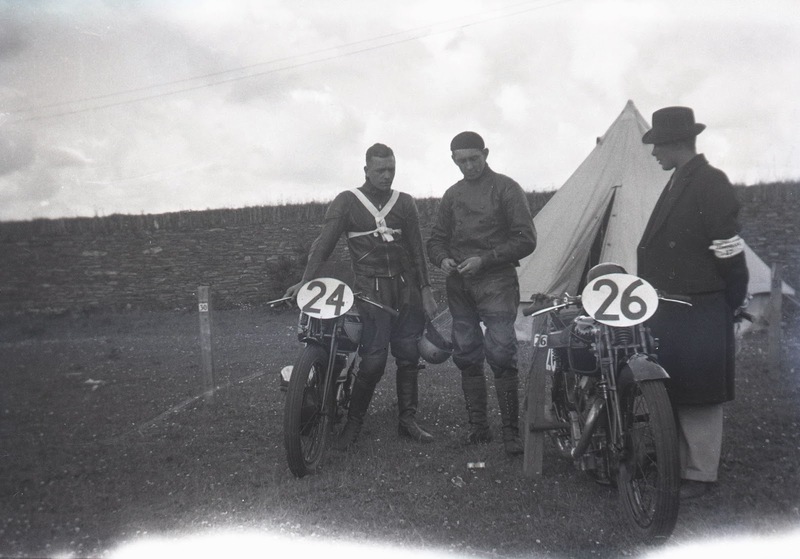 -Paul- Jock Forbes at the 1938 TT races. 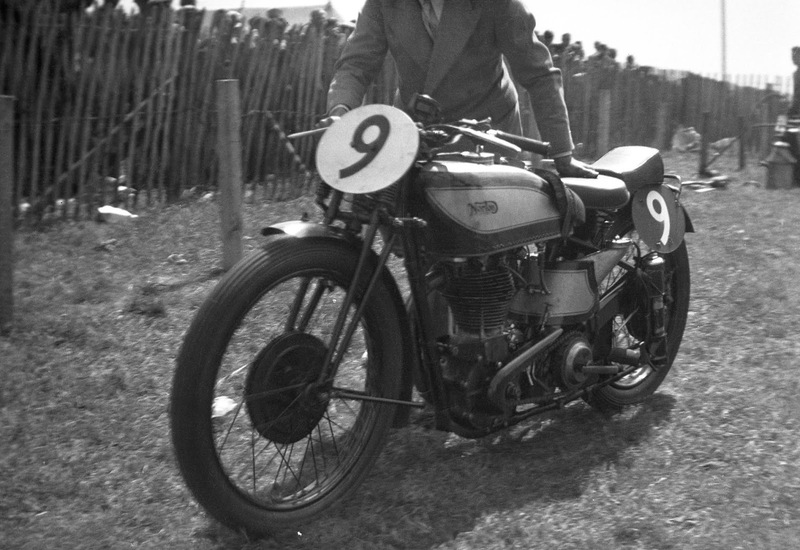 With his 250cc Manxman (#9) on which he came 6th place. mount that finished 11th place. 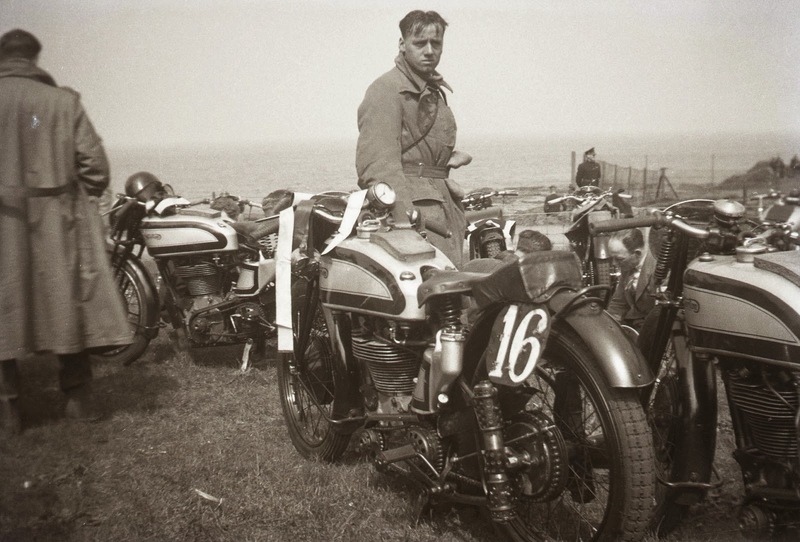 John "Crasher" White on one of the 1937 works machines. 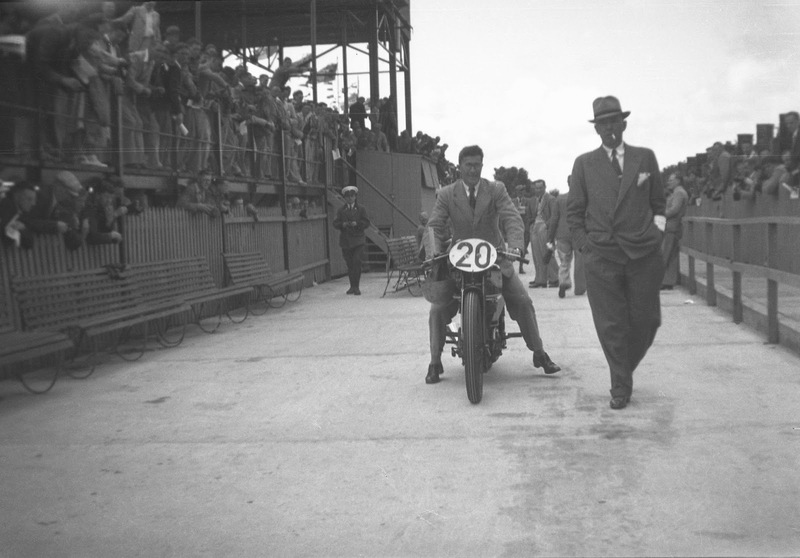 both of which were new for 1937.